2014 sees the digital release of the now classic ‘AUSTRALIANA’ on Apple iTunes. This single holds the Australian record for the highest selling single of all time with over 200,000 copies sold. Absolutely hilarious this is a must have. 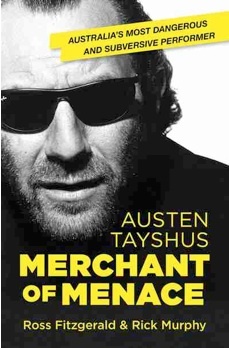 Powerfully written by controversial author – broadcaster Ross Fitzgerald and comedy writer Rick Murphy, Austen Tayshus: Merchant of Menace is a no holds – barred biography of Australia’s edgiest comedian; a man rightly regarded as the nation’s most dangerous and subversive performer. Austen Tayshus is the creation of Sandy Gutman, a shy, intelligent, highly cultured and observant son of Judaism; an actor and award – winning filmmaker, strict vegetarian and father. 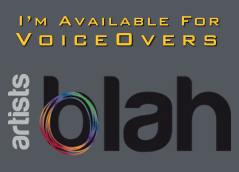 He retains a loyal following within the arts community and his fans include international film stars, world famous artists and a former Australian prime minister. He is also the great outsider of Australian show business; a raging intellectual punk who seeks out apathy, hypocrisy and mediocrity, and stomps on them until they are dead. This brilliantly written biography uncovers the complicated personality of a stand – up comedian driven to perform, a man who lives in the shadow of a great tragedy. 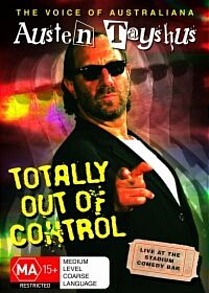 Totally Out OF Control is a live Stand Up DVD filmed on Austen Tayshus’ sell out tour at the Stadium Comedy Bar on January 7th 2005. 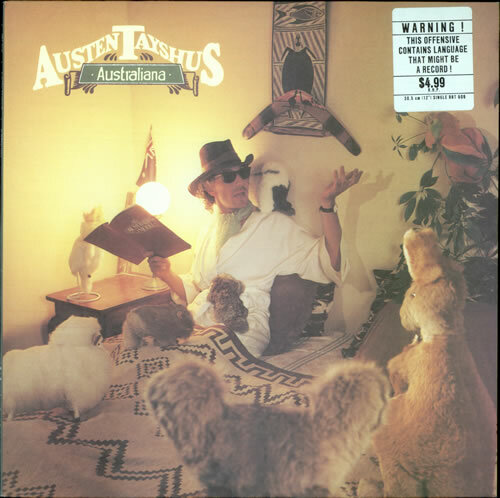 Austen Tayshus is known from his Australiana CD, and still holds the record for the biggest selling comedy single in Australia, which went double platinum. DVD comes packed with loads of extras. Perfect idea for Father’s Day. 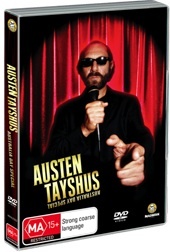 In what is surely the definitive AUSTEN TAYSHUS DVD and one of the rare live video recordings of the “Merchant of Menace”, Austen was captured for SBS Television’s lavish Australia Day 2006 Special at the Bridge Hotel in Sydney. 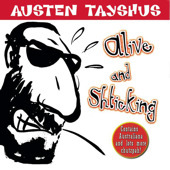 The slick recording has great production values and Austen is at his absolute incendiary best! Recorded in the mid 90′s this record reveals Austen’s range of accents and his great improvisational abilities. Includes the smash hit ‘Australiana take 1 and 2′, ‘Bankrupt, Bondsy, Barnsey’ and a host of other great tracks.